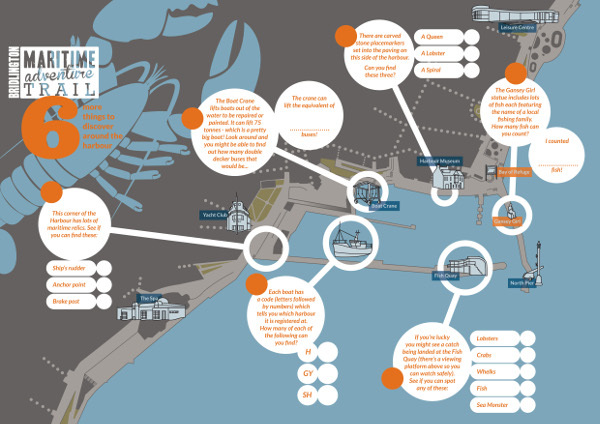 Bridlington Maritime Trail takes you on a tour around the seafront and harbour discovering more about the area’s heritage through inspiring art, fascinating artefacts and engaging information boards. 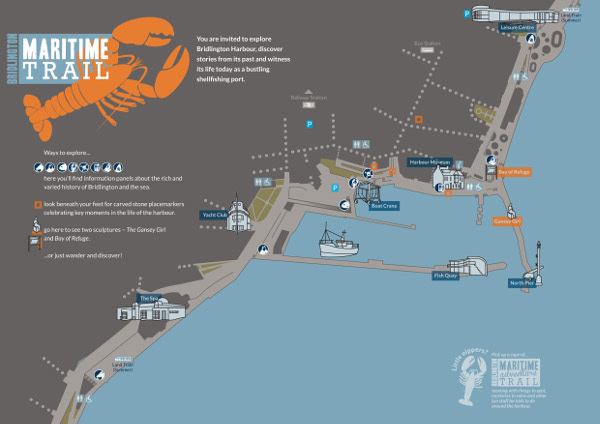 The Trail illustrates the stories of heroes and villains of the past, helps you learn about the lives and livelihoods of the fishermen and their families, and explore Bridlington’s historic harbour with its thriving modern fishing fleet. Take a look at the stories on the trail. Find out about the artworks commissioned for the trail. You can download a map of the harbour marking key places of interest, artworks and information boards. Also available to download is a 'Maritime Adventure Trail' for kids featuring lots of activities to help them explore the harbour. Both of these publications are also available from Tourist Information and other harbourside locations. 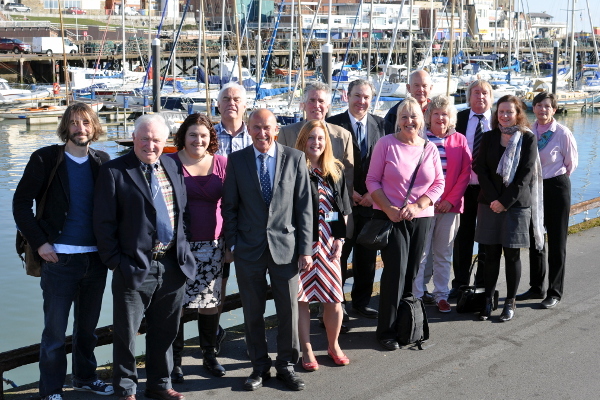 The Bridlington Maritime trail has been created by local historians and representatives of the fishing industry and Harbour Commissioners with the support of East Riding of Yorkshire Council, the Local Studies Library and University of Hull. The project has been sponsored by the Holderness Coast Fisheries Local Action Group and East Riding of Yorkshire Council.